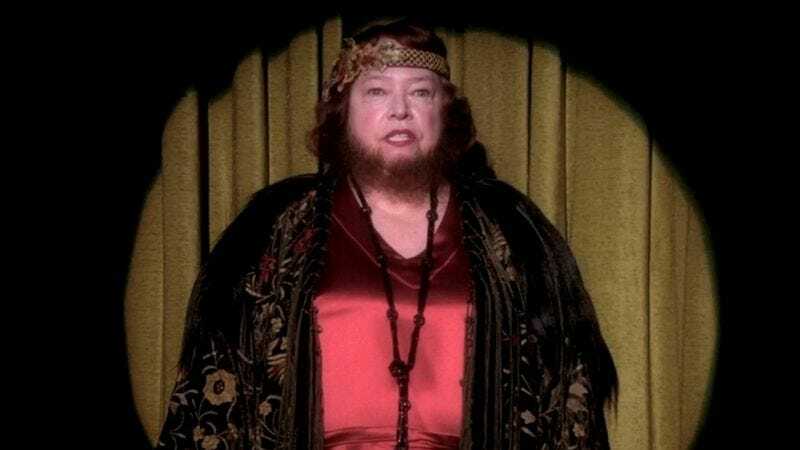 It’s pretty significant to note that, on a show featuring both conjoined twins and a clown serial killer, one of the most controversial aspects of American Horror Story: Freak Show is Kathy Bates’ accent. The New York Times referred to it as “wander[ing] around the Southern states, periodically landing on something vaguely Appalachian,” while Vulture put out a guess of “Wisconsin Mennonite.” The A.V. Club’s own Erik Adams was more cautious, simply referring to Bates’ character as “ambiguously accented.” Meanwhile, people from Baltimore maintain, very strongly, that it is a Baltimore accent. A more detailed analysis, including a discussion of so-called “goat vowels,” is available over at Vox.